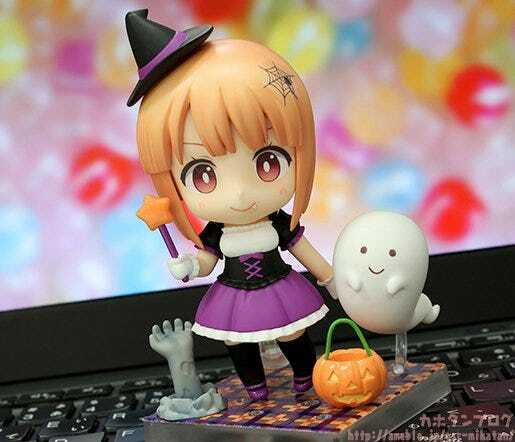 Kahotan's Blog | GOOD SMILE COMPANY Figure Reviews | Nendoroid More: Halloween Set Female/Male Ver. 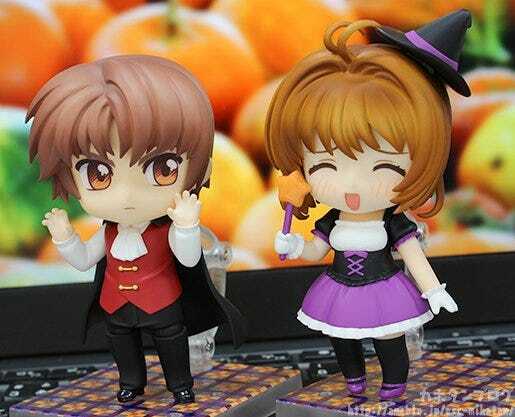 Nendoroid More: Halloween Set Female/Male Ver.! I was actually in charge of planning these items, so I’m going to try and bring out as much of their charm as possible!!! Let’s start off with the male version! 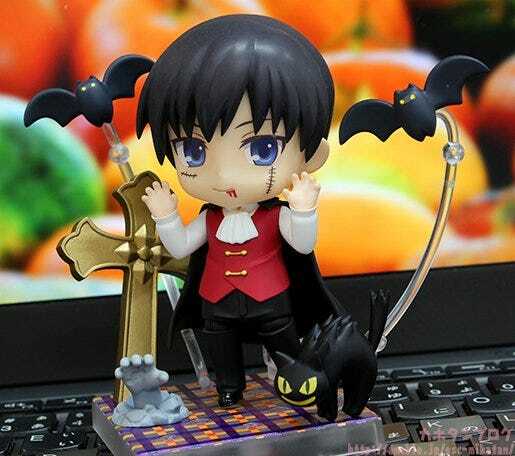 Nendoroid More: Halloween Set Male Ver.! The Nendoroid More series is a selection of items created to make Nendoroids even more enjoyable, and this new set of items combines the popular After Parts and Dress Up series into a single themed set to dress up your favorite characters for Halloween! This Male Ver. of the set comes with a vampire body, bats, a black cat, a cross, a zombie’s right hand sticking out the ground and a special Halloween-themed base. The set also includes a selection of stickers including scars, blood, claws and spiderwebs that can be stuck onto Nendoroid face plates, hair parts and bodies allowing for even more dress up options! Be sure to display it together with the Halloween Set Female Ver. 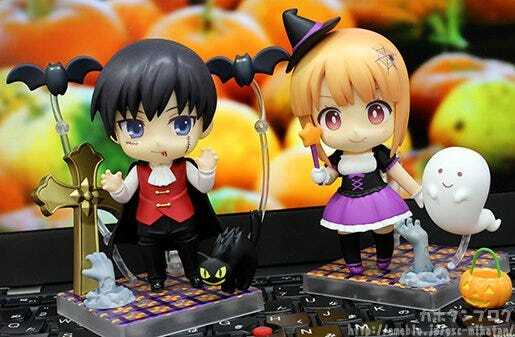 (sold separately) and create your very own Nendoroid Halloween party! In other words, the theme for the male version is a vampire and his friends in a graveyard! ▲A nice selection of parts as well as a set of stickers! The cape can also be removed which means that you can still use the dress-up parts with characters with longer hair that might get in the way of the cape! 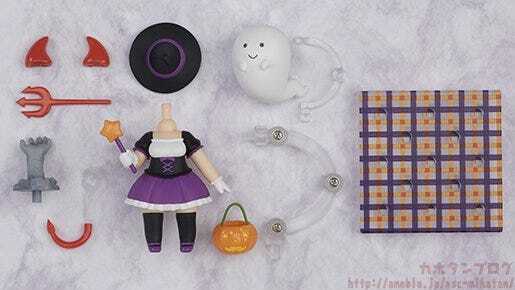 Along with the body itself the set also includes other items to bring out the Halloween theme such as bats and a black cat! Another more unique part is the zombie hand crawling out from the grave! The hands have been shrunk to Nendoroid size which make them rather cute, but they have a rather distasteful color scheme to bring out that zombie feel!! The right hand is included with the male version while the left hand is included with the female version! ▲ If you grab both sets you can display the two hands together as a single zombie trying to dig his way out! A cross is also included which is designed to be used as a kind of background, but it can also be put in front or elsewhere to create all sorts of interesting situations! 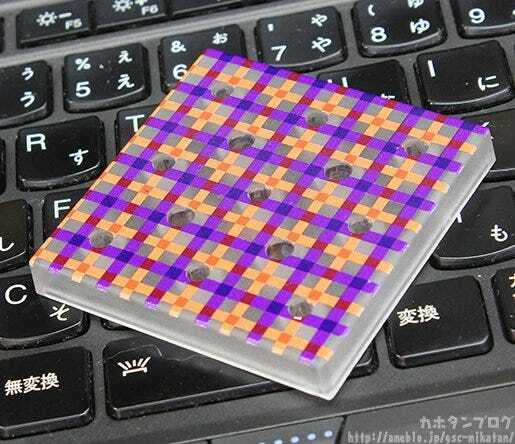 In addition, a special Halloween-themed base is also included with a purple and orange chequered pattern! The same design is included with the female set! Moving on, let’s take a look at the Female Ver.! 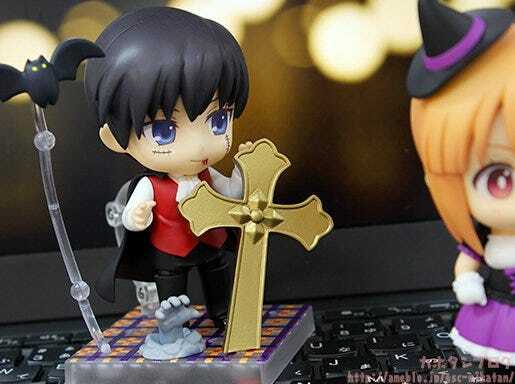 Nendoroid More: Halloween Set Male Ver! This Female Ver. of the set comes with a witch body, devil-themed parts including a horn, pitchfork and tail, a jack-o’-lantern, ghost, a zombie’s left hand sticking out the ground and a special Halloween-themed base. 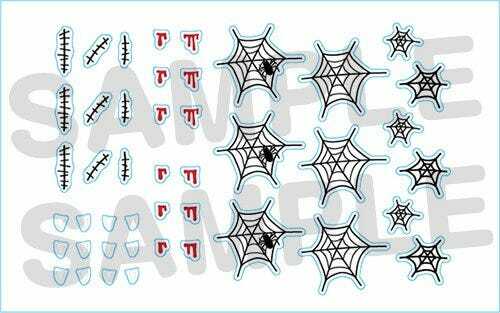 The set also includes a selection of stickers including scars, blood, claws and spiderwebs that can be stuck onto Nendoroid face plates, hair parts and bodies allowing for even more dress up options! The theme for the Female version is a witch that is ready to trick you if you don’t give her treats! Plus a ghost! I had a lot of trouble deciding what outfit the female version should use! There are too many options for Halloween… but I think the most common dress-up would be a witch, so that was what I decided on! Plus she comes with a jack-o’-lantern shaped bucket to collect her candy! 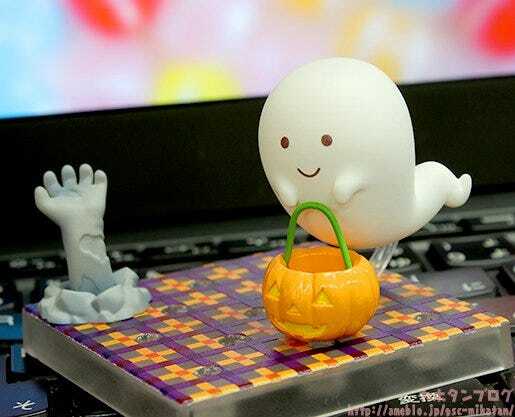 ▲ Trick or Treat with a ghost! 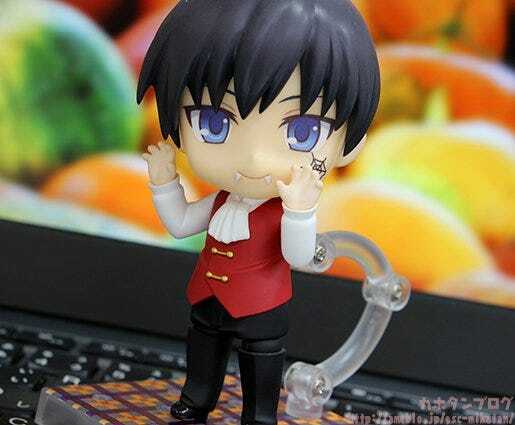 The ghost was specially designed to look cute and gentle to better suit the Nendoroid world! I love the wiggling appearance of his tail at the back! ▲ If you position him carefully he looks a bit like he is carrying the bucket! ▲ The blood stickers suit the devilish look so well!! ▲ A bunch of stickers to match the Halloween theme!! 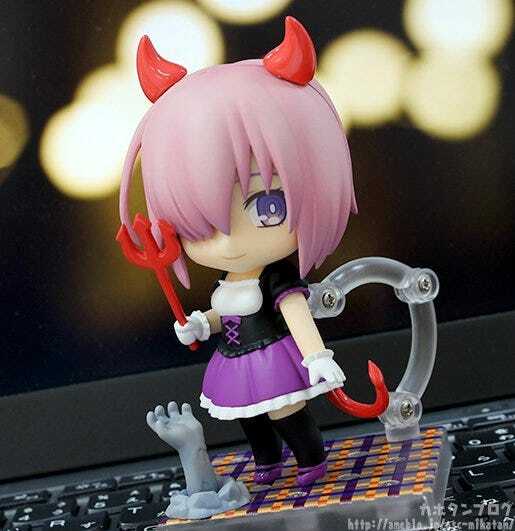 Nendoroid Shielder/Mash Kyrielight x Devil Witch! 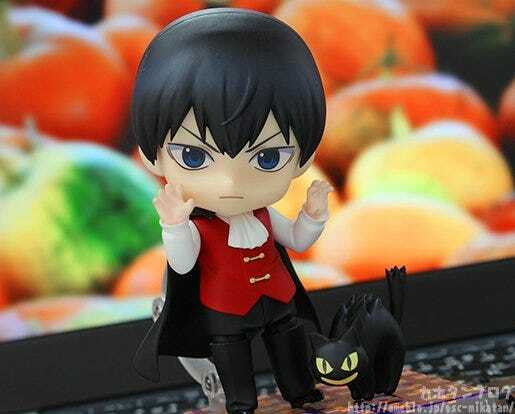 Nendoroid Tobio Kageyama x Vampire! 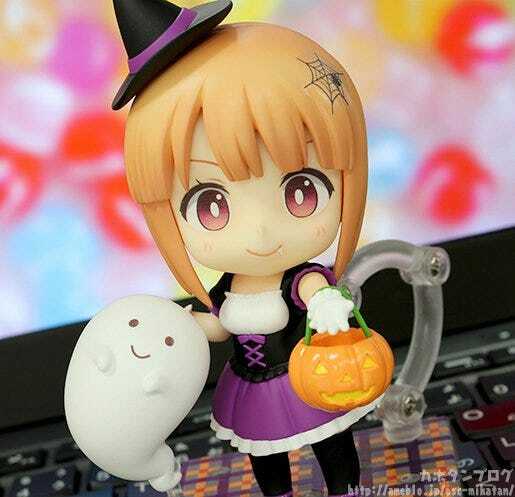 Nendoroid Sakura Kinomoto x Witch! 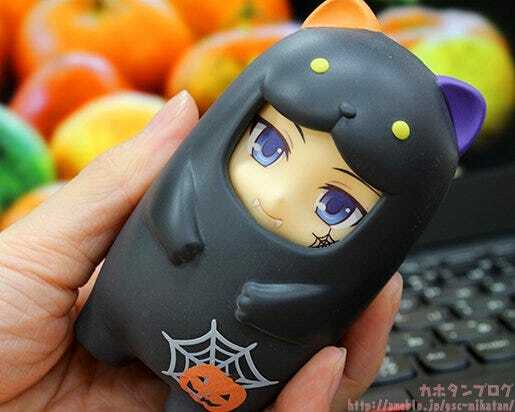 Dress-up your favorite Nendoroids for Halloween!! However that’s not all!! 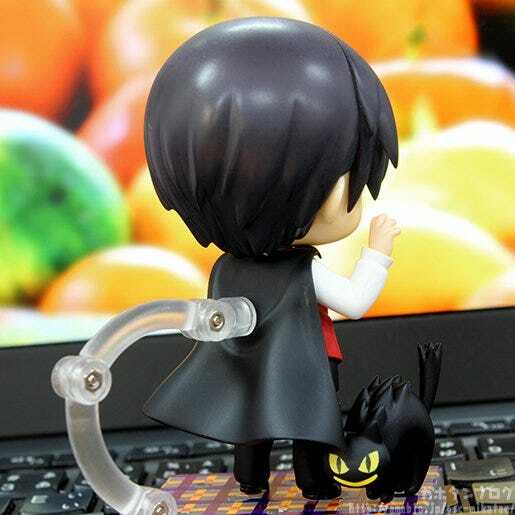 We also have one other item coming to join the Nendoroid More series!! 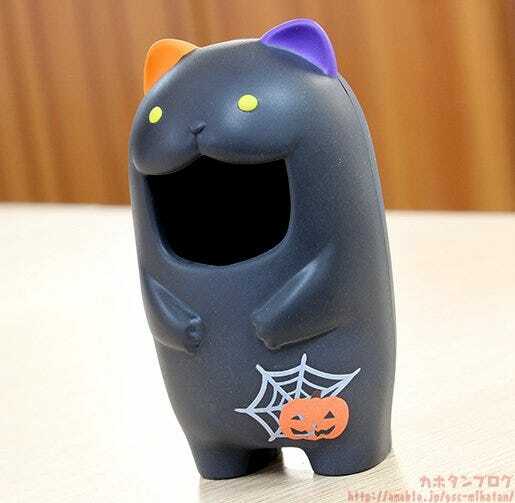 Nendoroid More Face Parts Case (Halloween Cat)! 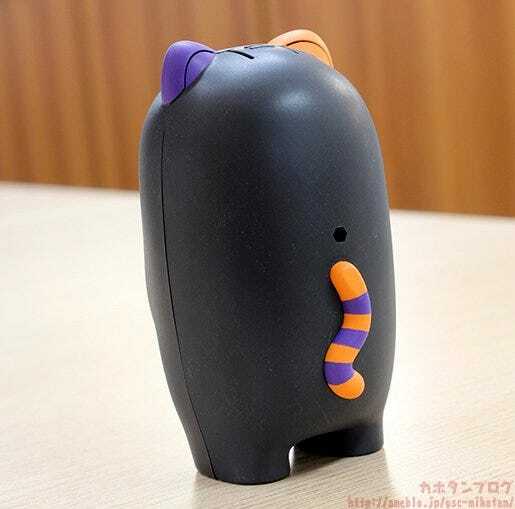 The case allows you to store up to two spare expression parts inside while also having a cute black cat appearance with a Halloween theme to put on display – which means that even your spare parts will have a place in your collection!